Locked away in a maximum security prison, your group has 60 minutes to breakout of C-Block before the guard returns. 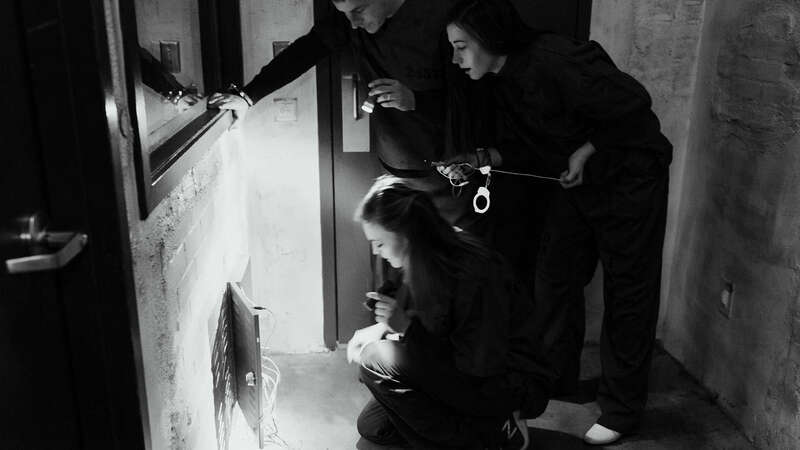 C-Block Prison Break is a Shawshank inspired prison breakout; an instant classic, and Chattanooga’s first and favorite escape room experience. Backstory Imprisoned and serving a life-sentence for a crime you didn’t commit, all hope seems lost until a daring escape plan is set in motion for you by a friend on the inside. Luckily, that friend is one of the prison guards. In the time you’ve been locked up, you’ve earned his trust. In light of his belief in your innocence, he’s decided to help you breakout. But he’ll have to be discrete about it or else end up behind bars himself. The escape plan is about to be set in motion for you. Your friend didn’t have time to give you all of the details. All you know is that he has prepared a special prison cell for you with everything you’ll need to escape in it, and he’s arranged to have you transferred to it. Before the transfer can take place, you’ll have to be handcuffed. But don’t worry, he’s already thought that problem through for you. Your friend wanted to give you more information, but there just wasn’t enough time. What he did tell you though, is that the guard in that section of C-Block, will only be gone for 1-hour, and that if you haven’t escaped by then, they’ll be nothing he can do to help. Can you escape your prison cell and breakout of C-Block before the guard returns?